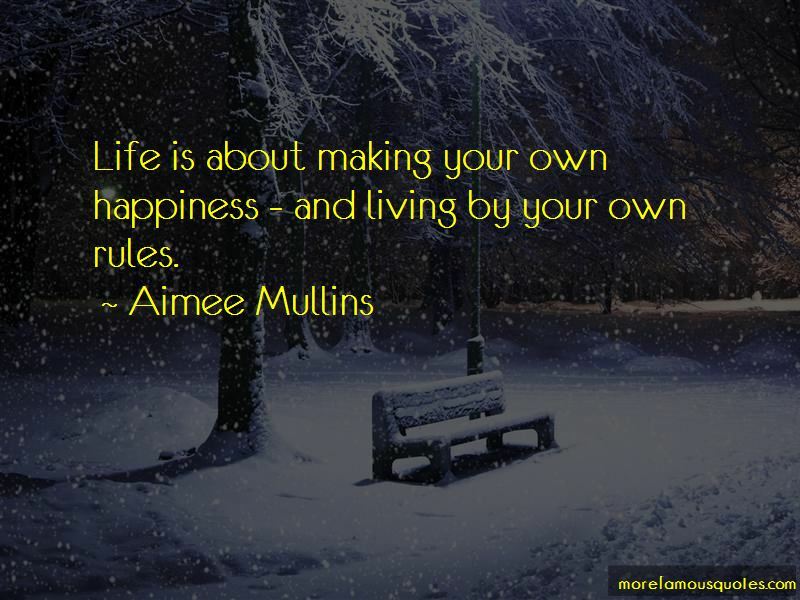 Enjoy the top 69 famous quotes, sayings and quotations by Aimee Mullins. I haven't had an easy life, but at some point, you have to take responsibility for yourself and shape who it is that you want to be. I have no time for moaners. I like to chase my dreams and surround myself with other people who are chasing their dreams, too. You know, I think there are certain words like 'illegitimate' that should not be used to describe a person. And certainly, we have come far enough in our technology that our language can evolve, because it has an impact. It's factual to say I am a bilateral-below-the-knee amputee. I think it's subjective opinion as to whether or not I am disabled because of that. That's just me. The flesh and bone leg is just beautiful. It's elegant. You know, when it's working, it's incredible. But if it's not working, well, you know, your life is certainly far from over. I didn't want to be written about as a human-interest story. I didn't want to be a passing thing. You know, now we move on to the fat girl who had her stomach stapled. I didn't want to become a gimmick: the disabled model. 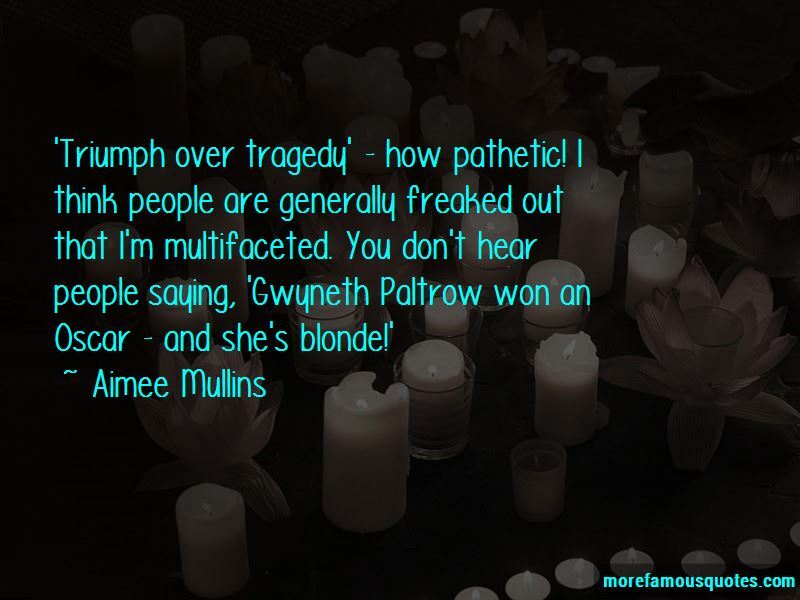 Want to see more pictures of Aimee Mullins quotes? 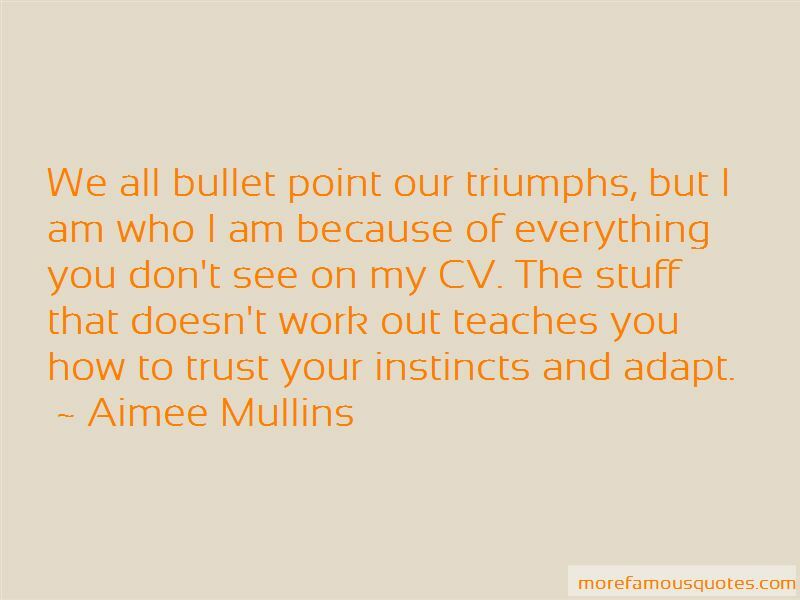 Click on image of Aimee Mullins quotes to view full size.